Poison is an American rock band that achieved great commercial success in the mid-1980s to the mid-1990s. 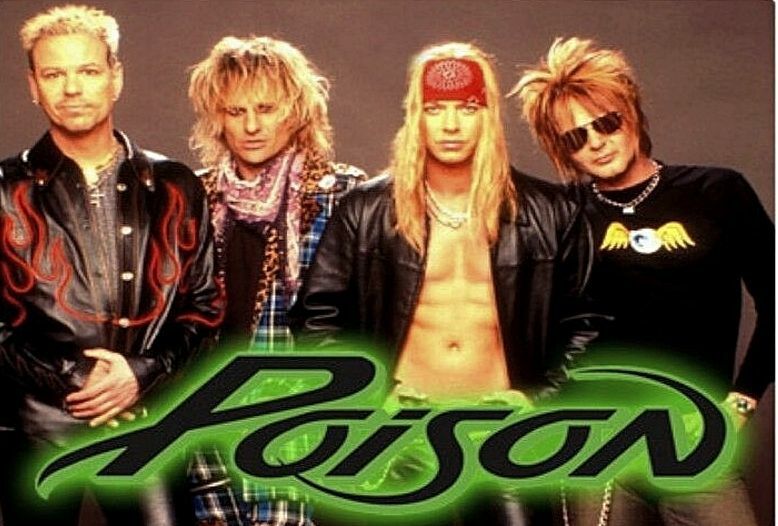 Poison has sold over 45 million records worldwide and has sold 15 million records in the United States alone. The band has also charted ten singles to the Top 40 of the Billboard Hot 100, including six Top 10 singles and the Hot 100 number-one, "Every Rose Has Its Thorn". The band's breakthrough debut album, the multi-platinum Look What the Cat Dragged In, was released in 1986 and they hit their peak with the second album, Open Up and Say... Ahh!, which became the band's most successful album, being certified 5x platinum in the US. The popularity continued into the new decade with their third consecutive multi-platinum selling album, Flesh & Blood. In the 2000s, with the original line up back together, the band found new popularity after a successful greatest hits reunion tour in 1999. The band began the new decade with the release of the long awaited Crack a Smile... and More!, followed by the Power to the People album. The band toured almost every year to sold out stadiums and arenas. They released a brand new album, Hollyweird, in 2002 and in 2006 the band celebrated their 20-year anniversary with The Best of Poison: 20 Years of Rock tour and album, which was certified Gold and marked Poison's return to the Billboard top 20 charts for the first time since 1993. Band members have released several solo albums and starred in successful reality TV shows. After 25 years, the band is still recording music and performing. Since their debut in 1986, they have released eight studio albums, four live albums, five compilation albums, and have issued 28 singles to radio. In 2012 VH1 ranked them at #1 on their list of the best hair metal bands of all time.